ISLAMABAD: Renowned Urdu poet and writer Nazar Muhammad Rashid was remembered on the occasion of his birth anniversary on Tuesday. 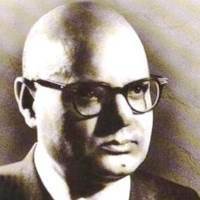 He was born on August 1, 1910, in a Janjua family at Alipur Chattha District, Gujranwala and earned a master’s degree in economics from the Government College Lahore. He was an influential Pakistani poet of modern Urdu poetry. He served for a short time in the Royal Indian Army during the Second World War, attaining the rank of Captain. Before independence of Pakistan in 1947, he worked with All India Radio in New Delhi and Lucknow. He was transferred to Peshawar in 1947 where he worked until 1953. Rashid served the UN and worked in many countries. He is considered to be the ‘father of Modernism’ in Urdu literature. Along with Faiz Ahmed Faiz, he is one of the greatest progressive poets in Pakistani literature. Though intellectually deep, he is often attacked for his unconventional views and lifestyle. In an age when Pakistani literature and culture acknowledge their Middle Eastern roots, Rashid highlighted the Persian element in the making of his nation’s history and psyche. Rashid’s first book of free verse, Mavra, was published in 1940 and established him as a pioneering figure in ‘free form’ Urdu poetry.